Unfortunately, it wasn't in the article ( Maybe Igor can ask the author. Danke! Sorry, my German is very limited. I'm afraid the design is not for sale. The author, Irina Lisitsa, created it herself. Perhaps you can create your own? Or find something suitable in our Store? Monograms are stylized initials of somebody’s name, surname or patronym. A monogram is a personal logo of sorts. Known since the 4th century BCE, monograms have a very long history. 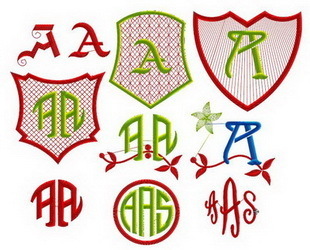 Embroidering a monogram is an excellent and popular way of creating a personalized gift. 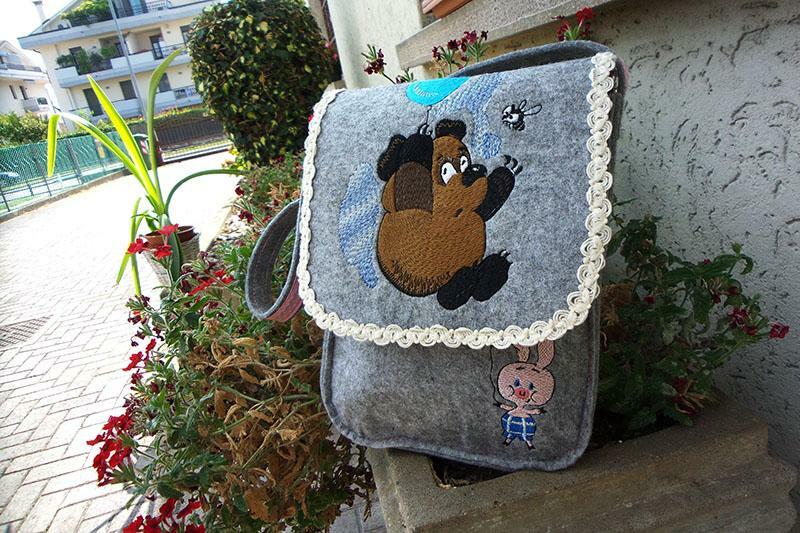 You can embroider on anything, including bath and kitchen towels, clothes, bed linen, handkerchiefs, pillows, lambrequins, bags and toys. These are just a few of the things that can be given as gifts. A thought struck me just now that there are common traditions one must stick to in order to avoid making a blunder. It turned out, there exists a monogram creation and usage etiquette. According to it, you need to know for whom the monogram is intended and to separate a person from a couple, a man from a woman, a kid from the betrothed. This knowledge will define the typography. In every case, there are nuances. Everybody knows, for instance, that monograms are always read from left to right and from top to bottom. A traditional way of creating monograms Choosing a font According to the tradition, all the letters in a monogram are capital and should be of the same type. Square letters are for men, slant handwritten letters – for women and married couples, and calligraphic script is for women only. You can read more on the topic in my article about Fonts. Types of monograms. The outer look In a woman’s monogram the first initial is a name, a small letter. The second is a surname. This is the biggest letter in the monogram. And the third initial is a patronym, again, a small letter. In a man’s monogram, the order is the same, but all the letters are equal in size. It is possible to omit the patronym in a monogram. If that’s the case, you first write the name, then the surname, the initials being equal in size. As a rule, a child’s monogram consists of only 1 letter. In a monogram for a married couple, the first, small, initial belongs to the wife. A big initial denoting a surname follows, then comes the husband’s initial – again, small. The levels at which the letters are placed, may be different. If a couple has double surname, these 2 initials are made big and positioned in the center. For household use, you might employ just one letter in a monogram – a surname. Naturally, there exist simple monograms, consisting of separate letters, and also of linked ones. Monograms usage If a monogram contains several letters, it is intended for official use. One letter is for unofficial cases. A modern way of creating monograms It’s XXI century now, many things have been changed and simplified, so now we have an opportunity of using any style we like, even the most bizarre. Yes, the way you like, not the conventional way. Choosing a font There is a great variety of fonts that can be used in monograms. Traditional types with serifs are still popular, but there are also the ones without; fancy fonts with excessive decoration in the form of flowers, leaves, berries in a so called “French style” are very common. And of course, one cannot forget to mention the convoluted calligraphic script, which is widely used to this very day. Men’s and women’s preferences in the character style have changed as well. Nowadays women prefer simple elegant fonts. One multicharacter monogram may contain fonts of different styles, in order to reflect the personality of its owner. The outer look Many women’s monograms of today consist of just 1 letter (denoting either a name or a surname), and men’s still have 3. If all 3 of the letters are of equal size, their sequence is changed: first comes the name, then the patronym, and the surname is the last. Personal monograms of 2 letters (name and surname initials) are possible. Both 2-letter (two names) and 4-letter (two names, two surnames) monograms can be used for the betrothed. The sequence of letters is not fundamental as it used to be. But those in the know advise following the tradition when creating monograms for bed linen, decorations and silverware. Monograms are often fit into a geometrical figure: a circle, an oval, a diamond, etc. Garlands of flowers, crests, crowns and wreaths of various kinds may be used as well. Apart from the initials, an entire name is often embroidered today – one should keep this in mind. The collection of ancient monograms, now in public domain, can be found on the Web and used as a starting point for your own creative effort. The only thing you’ll need to do is to follow the rules above. There is a huge variety of the already existing monogram templates. 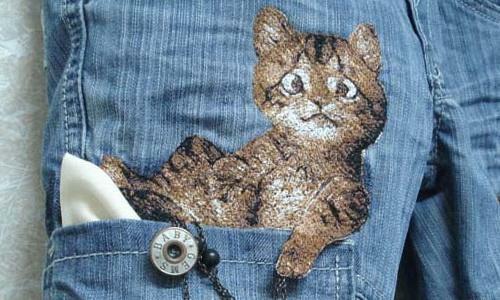 They can be incorporated into the average embroidery software. Some editors are even tooled for the creation of monograms only. Here you can find free monograms from the (Stitch Era Universal). You can see similar ones in any other editor, only chances are that there will be more of them there than coming from a free source. Well, they’re not the sharpest tools in the shed, but these monograms are better than nothing if you need to create a present. Read how the embroidery designs, monograms included, are usually positioned on an item. So, if you cannot draw or don’t like what you see in the free circulation, you can turn to a professional that creates various monograms to order. 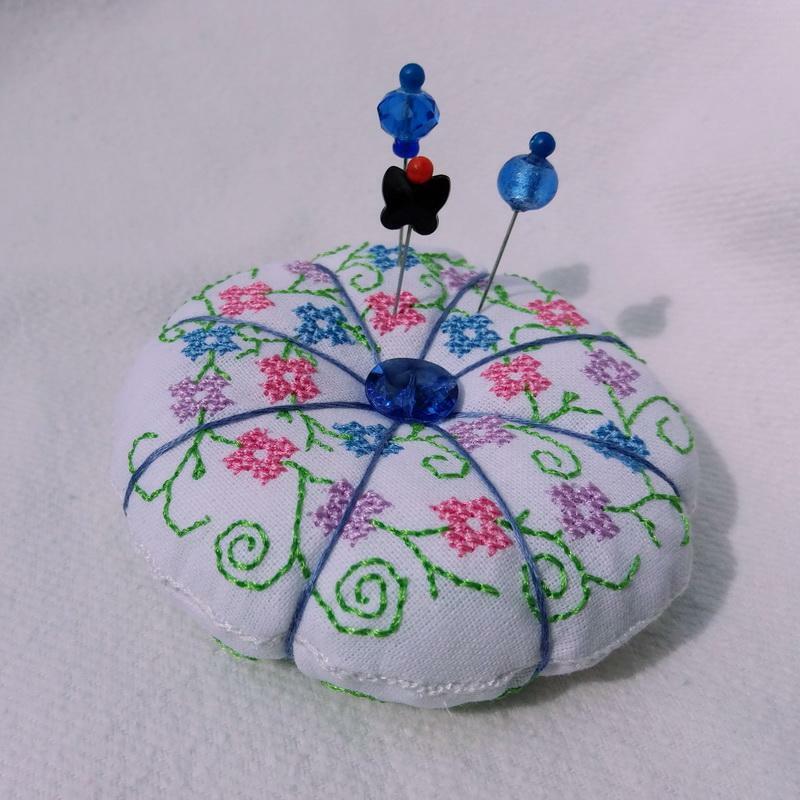 And if you need something simple to embroider it on an item, you can use a very handy application that has a built-in set of various fonts, vignettes, monograms, emblems and crowns.